Check out these bridal show tips for brides to help you make the most out of this totally fun experience. Recently engaged and ready to start planning? Bridal shows and wedding events are great way to get to know the wedding pros in your area, from cake bakers to photographers and everything in between. They can be a great place to start, particularly if you come prepared. Why attend a bridal show in the first place? Bridal shows and wedding events are a great way to meet a bunch of vendors face-to-face in one place and in a short period of time. Yes, there will probably be lots of swag (bonus! ), but really, you’re there to chat it up with vendors (and maybe find a few you want to hire!) and get inspired for your big day with décor, dresses, food, and other details you’ll see. Before attending the bridal show or wedding event, scout some great potential vendors in your area. 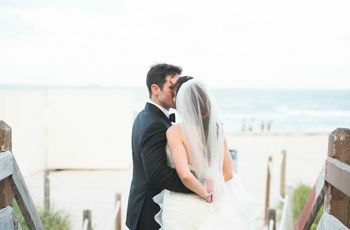 Check the expo’s website for a list of exhibitors and then find them on WeddingWire to check out their portfolios and reviews from real brides and grooms. 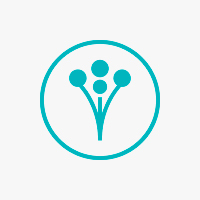 Jot down a list of vendors you’re interested in finding out more about so you can be sure to make it to their booths. It’s always good to go into these things with an open mind, but it can’t hurt to get a lay of the land, particularly before a larger show. You may be asking: “What do you wear to a bridal show?” Our advice: Dress comfortably (you’re probably going to be doing a lot of walking), but wear something that expresses your personality. Whether you’re totally classic, a bit edgy, or totally glam, find small ways to let your style shine through. These things can get pretty packed, and the early bird gets the worm. Showing up first will give you the opportunity to talk to vendors one-on-one without having to compete with crowds. Always a bonus! And be sure to eat a little something beforehand, of course—you don’t want to be hangry—but be prepared for lots of delicious samples from caterers and bakers. Leave room for treats! Bring your partner and a friend or family member with you. Just don’t bring your entire posse to a bridal show — that’s a lot of different opinions to deal with and the room will likely be crowded to begin with. Or at the very least something that lists your name, email address, and of course your wedding date (duh!). 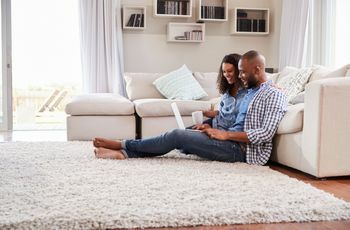 You’ll be exchanging contact info repeatedly throughout the day and this will save you lots of time and energy. 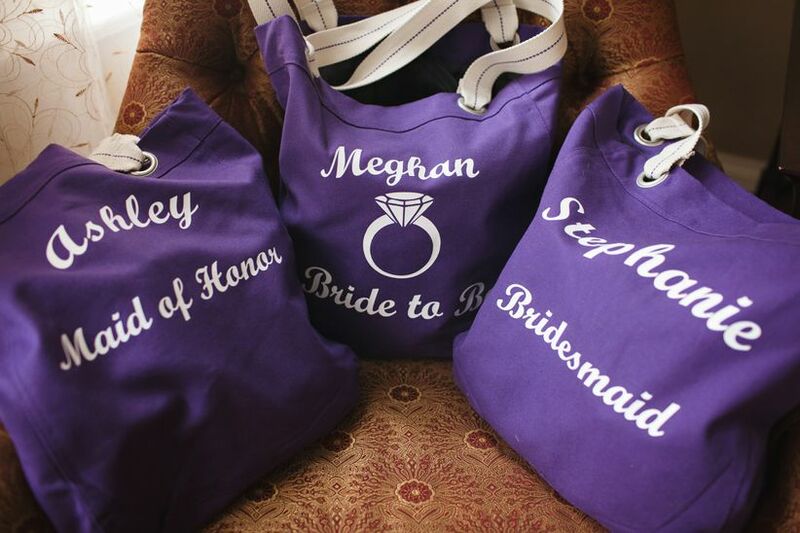 Most wedding events will offer you a free tote bag at check in. Take it (or bring your own larger bag)! You will be given a TON of handouts, packets, and branded materials throughout the day. You’ll need somewhere to stash all those goodies and keep your hands free. Okay, okay — this might seem a little extreme, but hear us out. It’s actually really easy and can be a huge time saver. Bring a little packet of colored sticky notes and flag all those paper materials according to a simple system (say green for those vendors you want to follow up with first, yellow for maybe, etc.) You can also use them to jot quick notes. This way, when you return home at the end of the day with a bag filled with papers, you’ll know where to start. When in doubt, write it down. You’ll be bombarded with info, so note-taking is your friend. Bring a pen and a pad of paper or even use a note-taking app on your phone. And don’t be afraid to snap a pic or two of something you really like—whether it’s a pretty piece of jewelry or a really fabulous cake—to reference later. You will see a lot of different things throughout the day, so it’s a good idea to visually bookmark your favorites. Ask questions and be friendly! This is a great opportunity to connect one-on-one with vendors. Vendors genuinely want to hear about your wedding, and a chat can help both of you determine whether you’d be a good fit for one another. Don’t be afraid to ask about special offers. You never know! 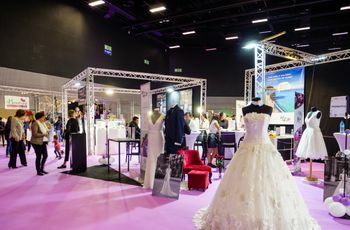 “Book now” discounts and giveaway opportunities are common at wedding expos, so keep your eyes peeled and take advantage. 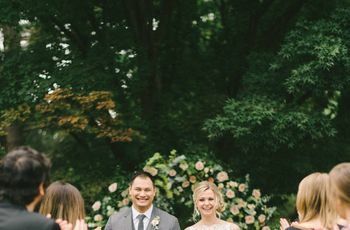 If you connected with a wedding pro you’re interested in hiring, don’t wait for them to reach out to you. Send them a quick email after the show telling them how much you enjoyed meeting them and ask how to move onto the next step, whether that’s simply continuing the conversation, requesting more information, or beginning the hiring process. We once saw a groom showing off his moves at a DJ booth, and it was pretty hilarious. Don’t be afraid to let loose a little — wedding planning (and bridal shows!) should be fun.